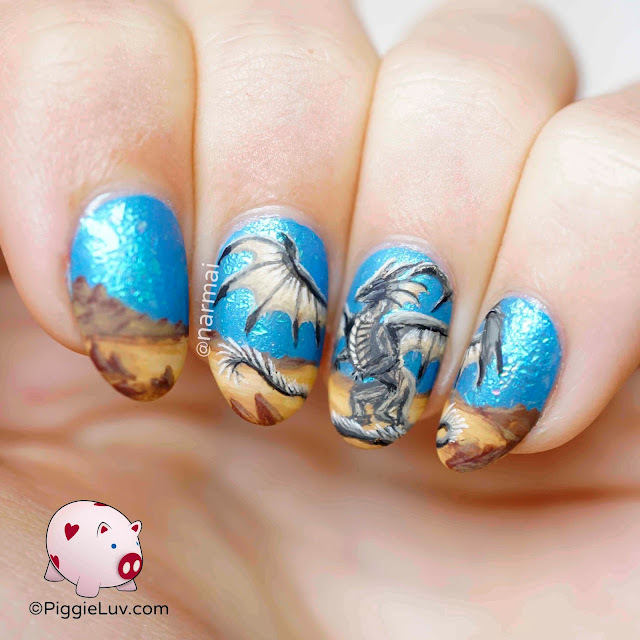 After a mountain dragon, air dragon, green dragon etc, today we have a desert dragon! I struggled with this one because it just didn't want to come together. It didn't look *right*. 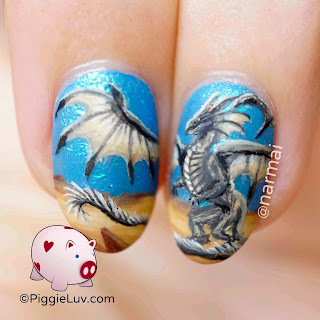 Eventually I went to sleep with an untopcoated dragon on my nails and finished him in the morning! 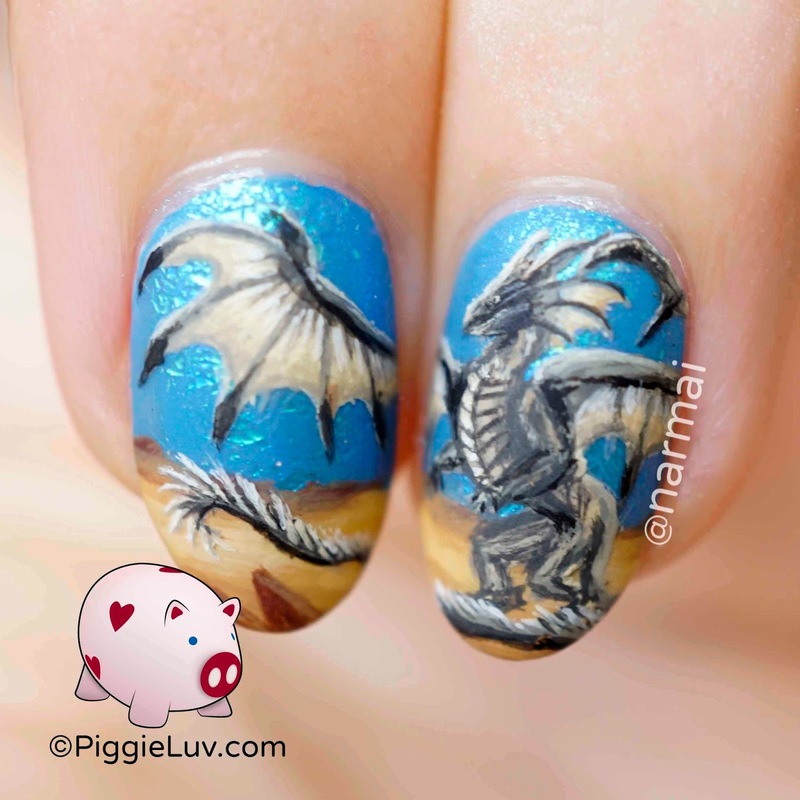 I used Faby Sunglasses & Bikini for the base, topped with What's Up Nails Breeze Flakies. The flakies changed when I added a regular top coat, so I'd recommend a water based or UV top coat if you like the really smooth appearance. I painted the scenery (and oh yeah, the dragon too) with acrylic paint and my Gamax 00 Kolinsky brush that I got from my awesome friend @lu_letsplayanailgame! I received What's Up Nails Breeze Flakies as a press sample. Opinions expressed are 100% my own and not influenced in any way other than the quality of the product itself.